The Southern Arizona Defense Alliance (SADA) is a united effort across Southern Arizona to support our military assets and make our voices heard. We hope you’ll join us to keep our military and our communities strong. America’s armed forces deliver a huge economic benefit to our community. Southern Arizona’s six military assets provide more than 57,000 direct, indirect and induced jobs and pump $7.99 billion into our economy every year. Southern Arizona’s military operations comprise 70 percent of the statewide total military economic impact of $11.46 billion. That total makes the military the state’s second-highest sector behind distribution and electronic commerce. But that could be at serious risk due to actions by our federal government: sequestration and predicted budget cuts. We can’t take military operations in Southern Arizona for granted. We need to let Washington know just how much we value them. SADA is a broad group of community and civic leaders, business organizations, military support groups, elected officials across all political affiliations, and private citizens. Join forces with the SADA. Your voice matters. We need your help in reaching our representatives to let them know how much Southern Arizona supports and appreciates our military and the nation’s defense. 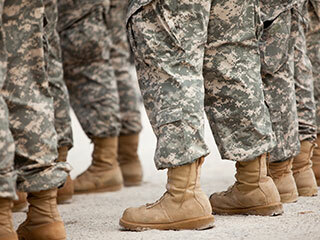 What is the total Arizona economic impact of our military? Based on the Arizona State University Maguire Study, using fiscal year 2014 data, the total Arizona economic impact our military provides is $11.46 billion and 76,714 jobs. What is the breakdown of economic impact? Declared “the state’s largest and most important employer” by Dennis L. Hoffman, Professor of Economics, W.P. Carey School of Business, Arizona State University, the Department of Defense is the lifeblood of Southern Arizona’s economic engine. It is with heavy hearts that members of the Southern Arizona Defense Alliance grieve the loss of Sen. John McCain, a great American, statesman and Arizonan. The Senator cared deeply about the value of the military to the defense of this country and to the home state he so loved. In fact, we have him to thank for the idea of creating SADA. Among his many other contributions, starting with his service in Viet Nam, was all he did as chairman of the Armed Services Committee. 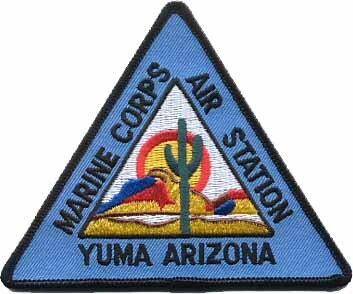 Southern Arizona owes him a great debt for his work to stop retirement of the A-10 Warthog based at Davis-Monthan Air Force Base, and to increase production of the Tomahawk missile by Raytheon. We offer deep condolences to his family and many friends. And we salute him as a one-of-a-kind warrior and patriot. 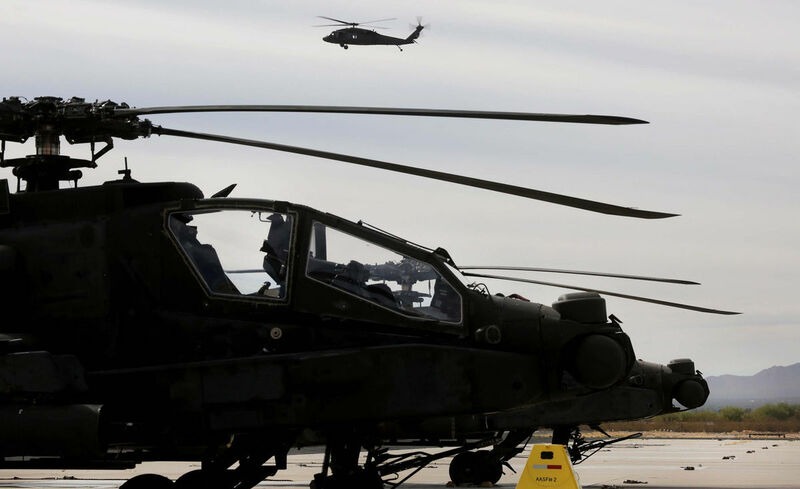 Members of Arizona’s congressional delegation are making an eleventh-hour appeal to suspend a decision to cut the number of Apache attack helicopter battalions in the Army National Guard and disband a unit based in Marana. 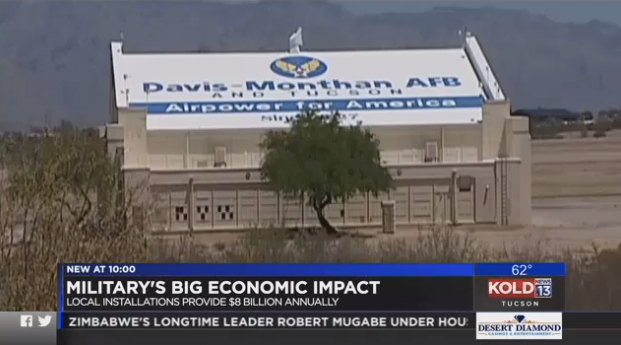 The military has a multi-billion dollar impact on the economy in southern Arizona, and Davis-Monthan Air Force Base is the third-largest employer in Tucson, just behind the University of Arizona and Raytheon. Some reminisce fondly about the history courses they attended in school, remembering the tales of adventure, hard work and courage.